Boil water. Add 1/2 tsp of vinegar to each container. Add 1/2 cup of boiled water to each container. Drop in food colouring (the more drops you put in the bolder the colour). 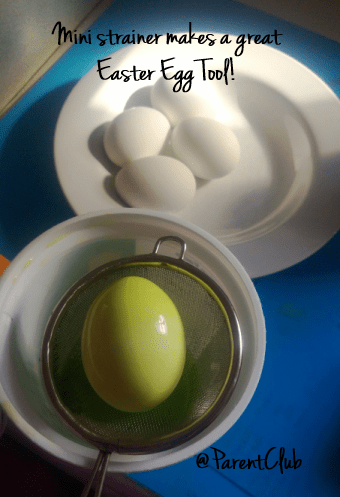 Dunk hard-boiled eggs in food colouring mixture. 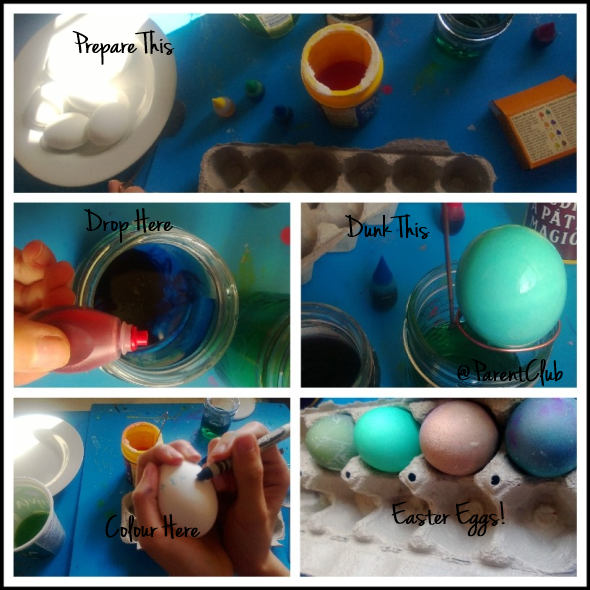 Colour of eggs depends on how many drops of food colouring you put in and how long you leave it in the food colouring mixture. 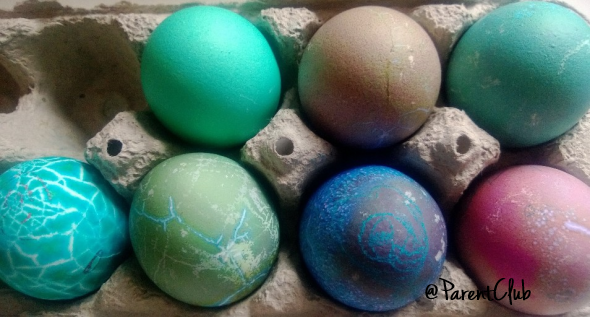 Re-use an egg container to dry Easter eggs. Colour eggs with wax crayons before dipping the eggs in dye. Double dip eggs and see what patterns you create. I loved coloring and dying eggs. This year we did it with adults to! Thanks, for the info. Will try your suggestions when we Easter Egg color with my grandson.